Thinking of what to buy for your dad can be a tough decision. While getting the conventional tie and mug might be the easy way out, why not get a bit more creative this year and add on a sweet app package customized for your very own dad. From the busy workaholic dad, to the master chef inspired dad and even if you really think your dad could use a bit more exercise we have just the app for daddy dearest. 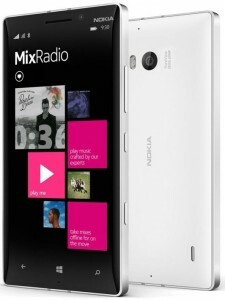 If you have more to spare, why not throw in a new Lumia device to give him the complete Microsoft experience. OneDrive helps you store all your important information so that you can access it anytime and anywhere. OneDrive allows you to tackle last minute business presentations or documents and switch between different devices with ease. Skype is great for work when organizing a meeting or an interview with someone overseas. Throughout your busy schedule, Skype also helps you stay connected with friends and family through video calls, voice calls and instant messages. MSN Food & Drink is a must have for dads who like cooking up a good a good meal for the family. Meal times would be a surprise time after time with over thousands of recipes to choose from. Video demonstrations are also provided to guide you every step of the way. Clear List is a simple way to manage lists of activities or items. This app will come in handy when making a grocery list of all the ingredients needed to cook a feast at home. What’s even better is you can even share this list between phones. Since daddy does the cooking, maybe mummy and kids should be in charge of grocery duties. Cooking Timers is a handy tool especially when you are cooking multiple dishes at once. This app helps you keep tabs on your timing for three separate items. It also runs in the background and when your screen is locked so you can simultaneously use other apps or leave your phone unattended for a period of time. PackMan Organizer is a must have for dad’s to ensure that they pack all the items they would need for their travels. This app has nearly 250 pre-set items in 13 categories which will show you exactly what you would need when travelling. Items in the list can be removed and added base on preference as well. Tripwolf is your travel guide to discover the most popular destinations all over the world. Plan your trip with suggestions from the tripwolf community and get helpful information from experienced travel authors. All the travel guides can be accessed entirely offline so you won’t incur any roaming fees in foreign countries when using the guides, features and maps. City Art Search makes a great traveling companion if you’re the type of dad who appreciates art. This app lets you search for over 2,800 works of art around the world so you are in the know of the must-see works of art when you are traveling to different cities or countries. MSN Health & Fitness app is a great and effective way to keep track of your health. Find 1000+ exercise and workout videos, a nutritional and medical reference, and trackers for diet and exercise to help you meet your health goals. Pair it with a Lumia device with SensorCore to continuously track, analyze and receive insights on your daily steps taken. Perfect Workout like its name suggests, is a great app to help you get fit especially if it’s your first time attempting to exercise or if you haven’t in a long time. The app comes with 12 exercise packs with over 100 animation exercises which shows you exactly how a workout should be done. Sleep Tracker is another good app to have because every good workout deserves a good rest. This free app helps you to track your sleep cycle and wakes you gently through natural sound and soft melody in light sleep for pleasant mornings. Reminders is the perfect app for helping a dad keep track of his new daddy duties without missing out on his daily tasks. Create date and time notifications to schedule your baby’s feeding time, diaper checks and even a reminder to catch your favourite football game because all new dads need a good break too. Sleep app might just be a dad’s secret weapon to getting his baby to sleep so that he can get some shut eye too. Sleep is a sound mixer that combines 19 soothing base sounds with accompanying accent sounds to provide both dad and baby with a good night’s sleep. Phototastic Collage is a handy app for dads who can’t stop snapping photos of their new baby girl or boy. Use this app to create a collage of all the photos taken with over 100 designs to choose from. 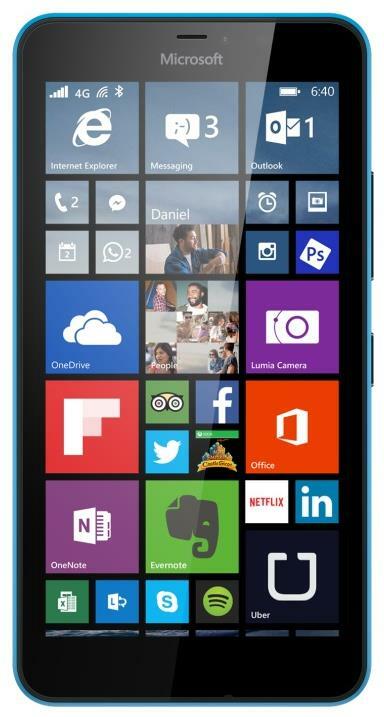 Equipped with Office 365 and a large 5.7 inch screen, the Lumia 640 XL is great for editing documents on the go. Travel light with the Lumia 930. You don’t need a DSLR when you have this 20MP baby in your hands. You don’t need an expensive phone to do the trick. 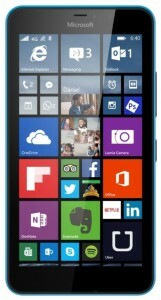 With just a Lumia 430 you can experience all these apps like you do on a high end Lumia device.